School’s out and summer’s officially on! The last day of school has long faded and everyone has been staying up late and sleeping in. Personally, I love staying up late and sleeping in, only at some point, it seems that everyone gets a bit grouchy and the need to return to schedule and structure is evident. Life is good with routine. How can we enjoy the summer luxury of extra flexibility with the necessity of routine? How can we balance the schedule when school’s out? 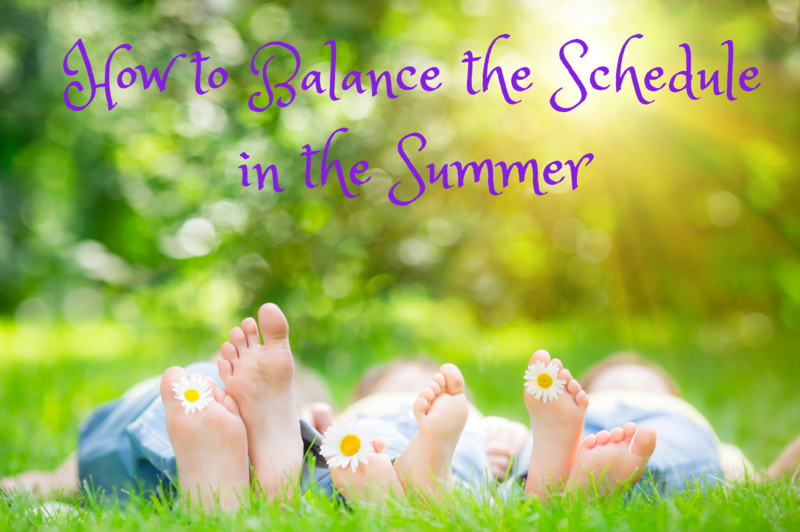 Today I wanted to share 4 ideas on how to balance the schedule when school’s out. 1. Maintain a weekly schedule. We have a daily chore list, but one day a week, we do a basic cleaning, especially bathrooms. During a “normal” weekly schedule, one without travelling or a lot of extracurricular events, then we try to use our park, museum and pool passes a few times during the week. To be honest, our family hasn’t had a full week of this weekly schedule this summer due to baseball games and other extracurricular events. But having a guide can assist in figuring out how to approach the week and “juggle” days, especially for activities determined by the weather. 2. Decide on your family’s summer priorities and schedule the calendar accordingly. I’ve been guilty of over-scheduling and then later regretting that we committed to too many activities. By scheduling carefully, according to needs, the balance and rhythm of summer home life is much more enjoyable. If you find yourself overdoing it, then don’t be afraid to look ahead and make changes to the plans. Relinquishing a commitment or rescheduling is easier the farther in advance you can do it. 3. Recognize that part of summer is having less structure. By the sheer nature of enjoying summertime, there are going to be more times of less structure. Spending an entire day at the pool can’t happen in cold, wintry weather. So determine to enjoy the best of each season and soak up all that summer has to offer. To help me remember what summer is about, I like to place the Summer Parenting Creed printable on my fridge. 4. Have a daily morning routine. Having a morning routine can prevent frustration, especially when children are waking up later. Whether you want to have breakfast then get dressed or get dressed and then have breakfast, the order of events is not nearly as important as simply knowing what is expected. If your plan is different from the school year, perhaps a checklist would be a great way for your child to anticipate the order of the day. One of our family’s favorite morning devotionals to keep us on track is Every Day a Blessing, A Year of God’s Love. This sweet devotional is a wonderful reminder that all blessings come from God and can assist your family in maintaining a fabulous daily morning routine. We’d love to hear from you on this topic, especially all your tips on keeping home life balanced while enjoying summertime! Would you share your tips with us? Rachel Wojnarowski is a wife, mom to 7, author and Bible study teacher. She and her husband, Matt, enjoy caring for their busy family, whose ages span 22 months to 21 years and includes a special needs daughter. In her “free time” she crochets, knits, and sews handmade clothing. Ok, not really. She enjoys running and she’s a tech geek at heart. 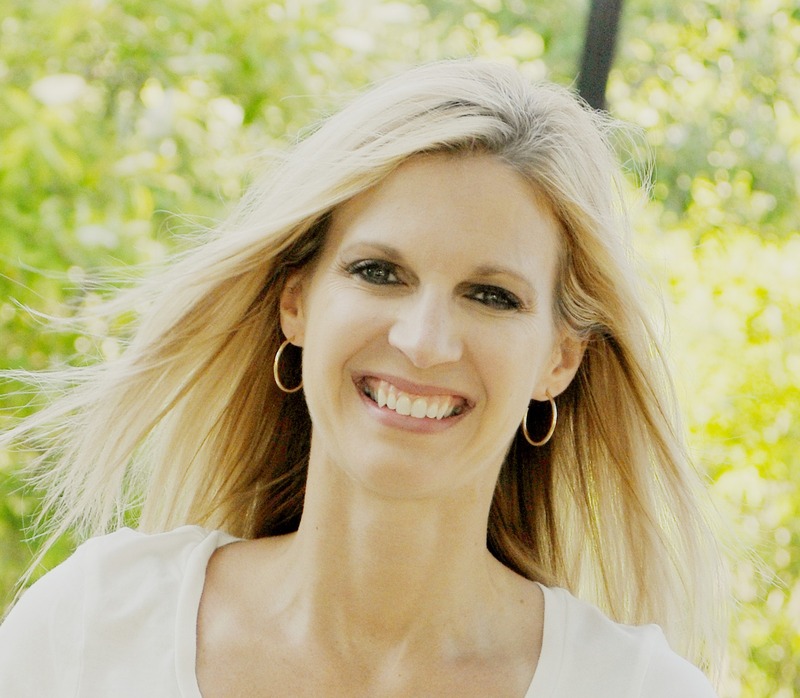 Reader, writer, speaker and dreamer, you can find Rachel at RachelWojo.com. 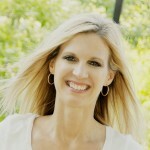 This entry was posted in Blog and tagged Family, Kids, Parenting, Schedule, Summer by Rachel Wojo. Bookmark the permalink.